The type of illness, injury, or issue you have will dictate what kind of advocate you need. For brain injuries, and neurological disorders you can most likely access a good advocate through the regional branches of your non-profit organisation - i.e. Parkinson's NZ, BIANZ, etc - who can either directly assist with communications or who can help organise a meeting with a specialist agency or commission with you. They will also likely help you to prepare any documents or medical records you may need. If there is no local advocate available to you, or you want other options, you can seek advice from Citizens Advice Bureau, Community Law, or private companies such as Access Support Services (ACC processes) on 03 548 6962. If you believe the issue is related to the Health and Disability code described in the previous section, you can contact a Health and Disability Commissioner health advocate on 0800 555 050. Advocacy belongs to the family of conflict resolution. 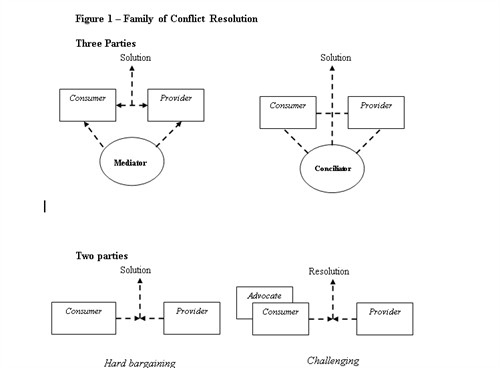 Conflict can be resolved using two parties or three parties depending on whether a model for mediation, conciliation, negotiation or advocacy is used. Advocacy means to advocate for or defend how you feel about something by advancing a certain viewpoint. The Nationwide Health and Disability Advocacy Service advocates use an empowerment model with a strength-based approach. Self Advocacy - This is standing up for one's self. Anyone can act as his or her own advocate. It is when a person makes an informed decision about a matter of importance and then takes responsibility for bringing about the change necessary to make that choice a reality. Best Interest Advocacy - Decisions are made by someone considered to have the best interests of the consumer in mind and/or who is considered to have the knowledge needed to make an informed decision - often on behalf of the consumer. The consumer may not be part of the decision making process. Statutory Advocacy - is where someone is appointed with legal responsibility to represent another such as a welfare guardian. Crisis Advocacy - uses a one to one relationship between a paid or unpaid advocate and someone who is at risk of being mistreated or excluded. This is usually a short-term one-off arrangement organised to deal with crisis. Professional/Specialist Advocacy - is most widely recognised as legal advocacy, but may also be provided by others who provide specialist advocacy service such as HDC advocates specialising in advocacy under the Health and Disability Commissioner Act. Political Advocacy - can include lobbying and is the advancement of particular viewpoints at a political level on behalf of a group of people. 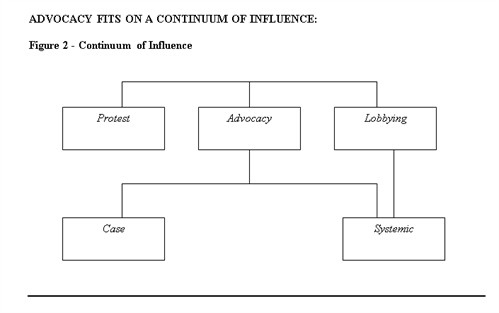 Advocacy fits on a continuum of influence. At one end of the continuum is protest, in the middle is advocacy and at the other end of the continuum is lobbying. Along the continuum of influence, protest is at the beginning and is usually carried out by action groups rather than individuals. Advocacy is divided into two main types of advocacy, case and cause or systemic advocacy. An individual or groups of individuals either carry out case advocacy by themselves as self-advocates or using paid or unpaid advocates who either support or represent their case. A Work and Income New Zealand beneficiary advocating for eligibility to an accommodation allowance or a health and disability advocate advocating alongside a health service consumer for an apology from a general practitioner where the consumer believes her rights have been breached, are examples of case advocacy. Cause or systemic advocacy is where an individual or group advocates on the need to bring about changes to a structure, system, policy or legislation. This form of advocacy does not focus on an individual but instead represents the rights and interests of a group with similar concerns and issues. Systemic advocacy from the perspective of an HDC advocate could relate to a local service or it could be based on a regional or national service systems failure. Health and disability advocates are also required to bring any matters to the Commissioner relating to the rights of health and disability service consumers, which, in the advocate's opinion should be drawn to his attention. These types of referrals often relate to issues of public safety and are seen as systemic issues. Political advocacy is most effective when the lobbyist or advocate has some influence in the corridors of power. Lobbyists are usually interested in influencing policy and legislation at local and central government levels. This is part of the Director of Advocacy's role to submit submissions and comment on policy affecting consumers and their rights. Health and disability advocates use what is called empowerment advocacy to assist or act on behalf of a consumer. This requires them to direct the process to assist the consumer to resolve his or her complaint rather than directing the content of the complaint. that power structures are complex and partly open to influence. Coach/Mentor - teaching processes and skills, imparting knowledge and information that enable the consumer to retain control of their own concerns and issues. 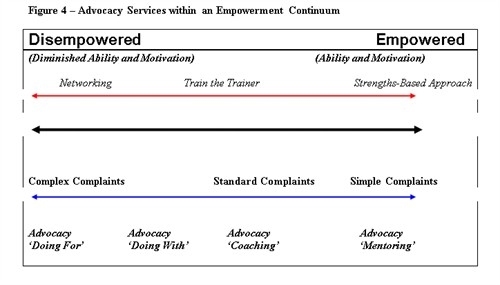 People from time to time may find themselves at different places on the empowerment continuum (see Figure 3 above) depending on the issues they are facing, the level of support they have, their wellness, ability, motivation, the information and or knowledge they have. Generally, those people who are experiencing disempowerment require a wider range of advocacy skills and knowledge and more time. Advocates are likely to need specialist skills when working at the disempowerment end of the continuum or they may need expert advice or support, for example, an interpreter, cultural advisor or welfare guardian. Advocates need to be flexible in the approaches they use to ensure consumers receive the type of advocacy support most likely to increase their ability to self advocate and to become empowered to make their own choices about the solutions to their issues and concerns. the problem is the problem; the person is not the problem. Strengths-based practice gives wings to the empowerment advocacy way of working. ensuring the client has a record of the work carried out. making clear the process of support and reducing consumer concerns and anxiety about seeking help. Free independent advocacy services are available throughout New Zealand. Advocates promote awareness of the Code and HDC Act, providing free education sessions to consumers and providers. They assist consumers to resolve complaints at an early stage and encourage self advocacy as well as providing more support as needed. Advocates do not make decisions on whether there has been a breach of the Code. Rather, their role is to give consumers information about their rights, and to support them to make decisions and take action to attempt to resolve the complaint. Most complaints that advocates handle are received directly rather than via the Commissioner, but in some cases the Commissioner may decide that a complaint made to his office should be referred to an advocate to enable the parties to resolve the matter. The majority of complaints referred to advocacy are successfully resolved, often by face to face meetings with providers. Advocates must refer any unresolved complaints to the Commissioner and may also report on any matter concerning the rights of consumers that they consider should be brought to the Commissioner’s attention. The nationwide health and disability service is provided by an independent national advocacy trust through a contractual arrangement with the Director of Advocacy. The advocacy service can be contacted by freephone on 0800 555 050, free fax on 0800 2787 7678 or at advocacy@hdc.org.nz. Available to consumers of health and disability services to provide information free of charge and supportto deal with concerns or complaints related to health and disability issues. Post: PO Box 9058, Nelson. Support Network for the Aldehyde and Solvent affected. Disabled people in Auckland will get a fairer deal from the law with the launch of a new community service funded by the Legal Services Agency. Auckland Disability Law is the result of development work by the agency and community law centres across wider Auckland. In 2005, the agency commissioned a research team to identify the legal needs of disabled people in the region which were not being met. The team, led by AUT University’s national centre for health and social ethics director Kate Diesfeld, consulted disabled people, their advocates and disability organisations, and lawyers and community law centres. Its findings are the foundation for Auckland Disability Law which will help disabled people access legal services and support lawyers to understand the needs of disabled clients. Auckland Disability Law solicitor Dr Huhana Hickey hopes to close the gap in awareness by providing knowledge to other lawyers. "Legal service providers face a range of challenges because of the complexity of issues involved, making legal education a key role of the project." Development manager Nicola Owen says the service will be mobile because the research showed that was essential. "A desirable legal service for disabled people is one that understands their particular needs, has staff skilled in working with disabled clients and is able to visits clients in their homes or at outreach clinics," she says. Participants’ recommendations include removing architectural barriers in community law centres, providing sign language interpreters, developing legal information in simple English and providing disability awareness training for lawyers. Clinics are planned for Te Roopu Waiora in Papatoetoe, Waitakere Community Law Service in Henderson and AUT’s North Shore campus. We have a wide coverage throughout New Zealand with over 90 service locations around the country from the far north to Invercargill, in major metropolitan areas and in small, rural communities. In order for a democratic society to function well people need to be able to participate in that society in a meaningful way. This requires that people know, understand and are able to exercise their rights and obligations. In our complex modern world, empowerment cannot be achieved by merely having access to information. Information can be of little use if it is not also accompanied by someone to guide the recipient and help them understand the information, apply it to their situation, and turn that information into action and results. The essence of the CAB service is about promoting knowledge and understanding and providing people with the confidence and support that will enable them to influence the things that affect them. When helping individual clients our aim is not to take over the management of a client’s situation, but instead to work alongside them, helping them to help themselves and providing pathways for resolving their issues. This way, the client has an opportunity to grow in confidence and to learn. The Citizens Advice service has been designed to be as comprehensive, seamless and accessible as possible and to prevent people in need from discounting themselves from being eligible for our help. This puts the CAB in the unique position of being able to reach people who would otherwise never be connected with the help services they need, and those who would otherwise fall through the cracks. Ensure that individuals do not suffer through ignorance of their rights and responsibilities, or of the services available, or through an inability to express their needs effectively. Exert a responsible influence on the development of social policies and services, both locally and nationally. The CAB service in New Zealand is about helping people to know and understand their rights and obligations, how to use this information to get the best outcomes, providing people with the confidence and support they need to take action, and working for positive social change within communities and wider society. Community Law Centres publish and distribute legal information on a range of different topics. Administrative or Public law regulates relations between the individual and the state. It protects citizens from arbitrary or unlawful actions by government agencies. Public law ensures that government agencies and state officials do not overstep the limits of the power given to them by Parliament. It also regulates other administrative functions such as the registration of births and marriages and the granting of passports. Family law is an area of law that deals with family issues including the care of children, adult relationships, domestic violence and issues that arise when a family member is incapacitated in some way. These matters are usually dealt with in the Family Court. Criminal law covers matters where state authorities prosecute an individual and which can result in a criminal conviction and sentence. Most criminal prosecutions are taken by the police but in some circumstances other government agencies can also take action against those accused of committing an offence. Civil law, property and debt covers the area of law that relates to the private rights of individuals. This includes things such as contracts, consumer rights, debt, property rights and tenancy. In most circumstances the law treats children and young people differently from adults. The law deals specifically with youth in a number of areas including the way young people are dealt with by the criminal justice system, legal ages and entitlements and their legal rights around issues such as employment and consumer law. If your community organisation wants information on legal issues faced by charitable trusts or incorporated societies then click on Keeping It Legal for help and assistance. Many community law centres publish legal resources to help members of the public with their legal problems. This page provides access to these publications or gives information on how these publications can be obtained and at what (if any) cost. The Legal Services Agency also provides an extensive list of legal resources and publications. To find a community law centre in your area, click here. Eldernet was established in 1997 as a direct result of the founders seeing the need for a comprehensive information service that focussed on issues concerning older people in New Zealand. The internet seemed to be the perfect way to make this information available and so, Eldernet was born. With this impartial information, older people, their families’ and professionals who work in this sector access to comprehensive information that enables them to make more informed decisions. Our shared passion for outstanding customer service and the sector in which we all work means that all users of Eldernet are greeted with a smile and ‘can do’ attitude. If you call, fax or e-mail us we trust you’ll always be made to feel welcomed and supported. Providing information regarding benefit entitlements and rates, assistance with applications, reviews and appeals. "We work with disabled people and communities...to ensure decisions are made by disabled people." 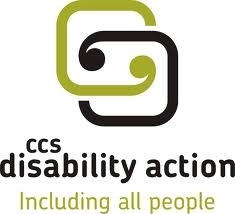 CCS Disability Action provides support through information and advocacy, offering a support pathway through life ranging from support for families with children; accessing early childhood services and other educational opportunities for all disabled children; support and advice in moving on to tertiary training or employment; and services to support individuals living independently in the community of their choice. They ensure that the rights of disabled people are acknowledged and included in all aspects of life, including working with government and local council to raise issues politically and ensure buildings, parks and other spaces are accessible. Our National Office in Wellington is responsible for developing policy, setting and monitoring standards for the organisation and working with other organisations and government to change attitudes. There are 4 DEAS offices set up in Auckland each targetting a specific group. 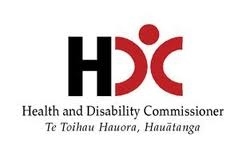 We also link with Marae, community groups, health services, Kohanga reo, Kura kaupapa Maori and a host of Kaupapa Maori organisations so that whanau are aware of services that support their disability needs. The Parent & Family Resource Centre Inc. was established in Auckland the early 1990’s as an umbrella organisation to support families raising a child with a disability.